Our Aggies have Fish Camp to aid in their transition from home to college life and to introduce them to the traditions of Texas A&M University. Aggie Moms also have CAMP! 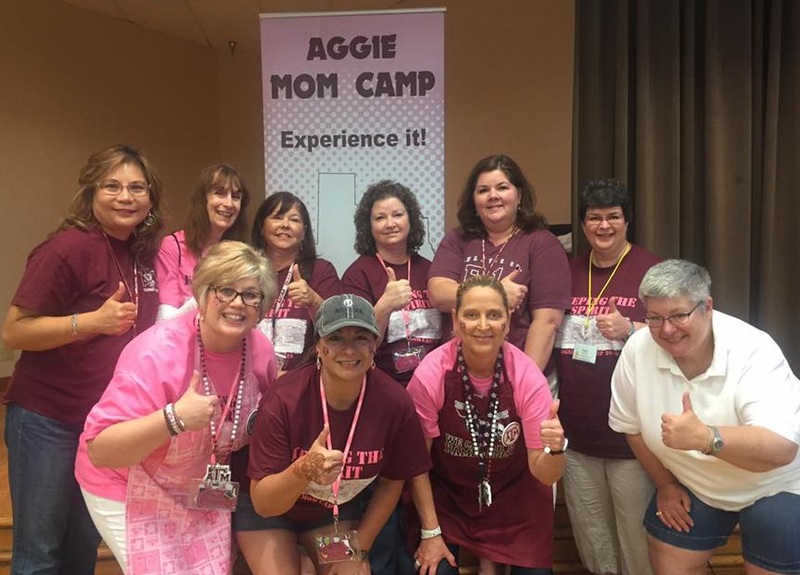 Every year since 1994, the Federation of TAMU Mothers’ Clubs has held Aggie Mom Camp in Aggieland. The goal of the event is similar to that of the camps for our Aggies. The Federation hopes to have experienced Aggie Moms help new Aggie Moms with the transition as their child leaves home to attend Texas A&M University and to introduce them to the wonderful traditions of A&M. 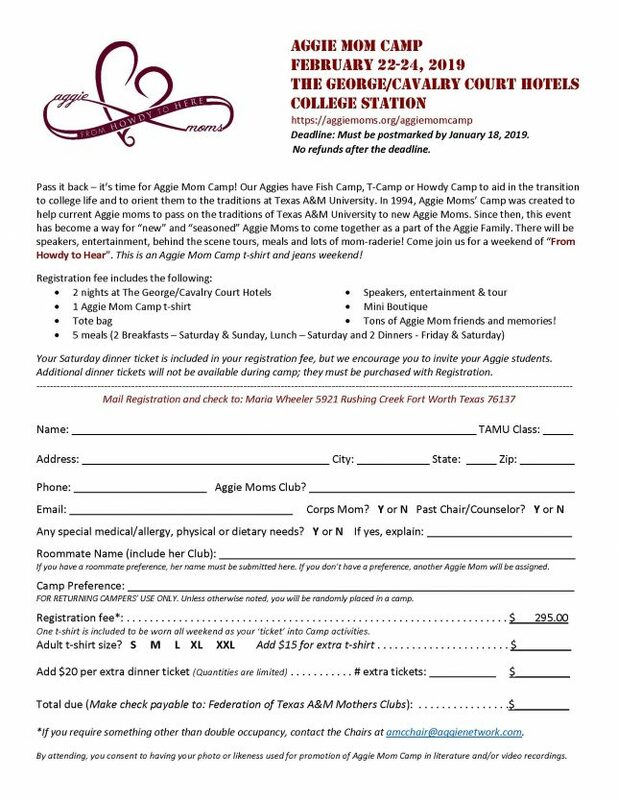 Aggie Mom Camp is also a great weekend for the experienced Aggie Mom. In addition, we have loads of fun!! 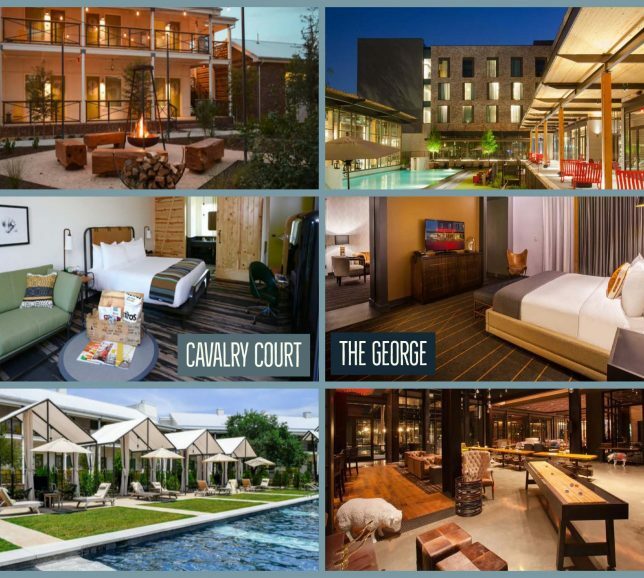 There are campus tours, group sessions, skits, shopping, and lots of bonding with both “old” and “new” Aggie Moms. Join us for Aggie Mom Camp to meet other Aggie Moms and have a wonderful weekend in Aggieland! If you have any questions, contact our Federation Representative Angela Blanton.